I know they say you should leave the past in the past but I must admit I've been having a great time walking down memory lane lately. I've taken on the big task of clearing out, cleaning up and organizing all my digital photos. Now, that might not be a big deal but when you have two photographers and you've been shooting digital for the last 9 years, well, it adds up to a pretty big task. The benefit of it all is how quickly a photo can bring back a memory. Like these cookies. Yummm! Years ago my family started a little monthly service activity. We called it "cookie club". I'm sure I've mentioned it somewhere, at some point, on this blog but since I stumbled on these photos I thought it was worth mentioning again as it was a highlight for my family and a really positive service activity. So what is Cookie Club? We'll in January we'd select a few families or people and give them an automatic enrollment. Then each month for a year we'd deliver them a plate of cookies. Our first year was my favorite. We adopted some grandmas and I can not even tell you how much we grew to love those women. And, those women grew to love our girls. It's was awesome. 2- It taught my girls how great it feels to serve others. Even if it's just a plate of cookie, it's service. The smile and the hug and the relationships built are priceless. I feel like we live in a society that if you do something nice for someone, they sometimes question what you want from them in return. I don't like that mindset. It's nice to be nice just for the sake of being nice! I want my girls to learn that. 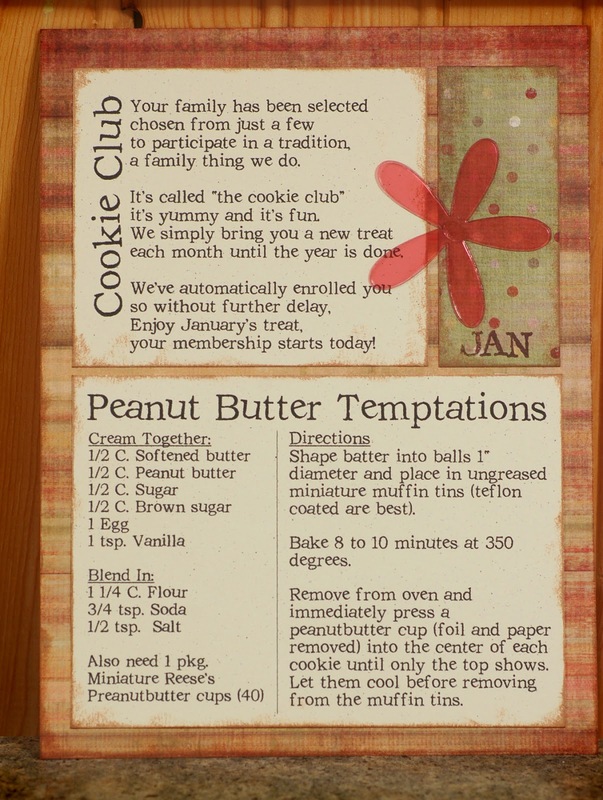 After finding these photos and our little poem that we'd give to our club members, I think it's time for our family to do Cookie Club again. I know it's mid-way through the year and it's easier to start in January but maybe we will start with the school year. 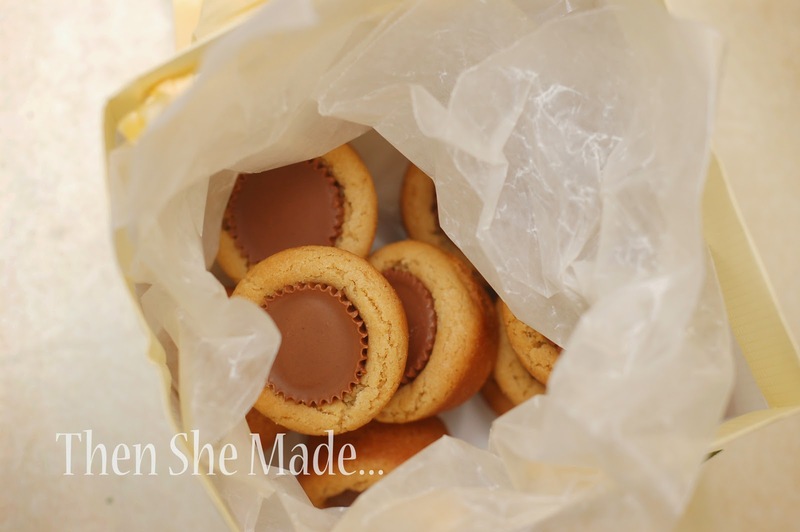 Want to do your own cookie club? Here's the poem I wrote to introduce it to our families and you can use it too if you'd like. Of course, you may have to tweak the wording if you start now. to participate in a tradition, it's a family thing we do!" We simply bring you a new treat each month until the year is done." "We've automatically enrolled you so without further delay. Enjoy January's treat, your membership starts today!" And, do want my recipe for these yummy cookies? These are probably the most un-healthy cookies you could ever eat but I promise they are yummy! So yummy! Cream together butter, peanut butter, sugars, egg & vanilla. Then add in flour, soda and salt. Roll dough into small balls, about 1", and place in mini muffin tins. Bake at 350 for 10 minutes. 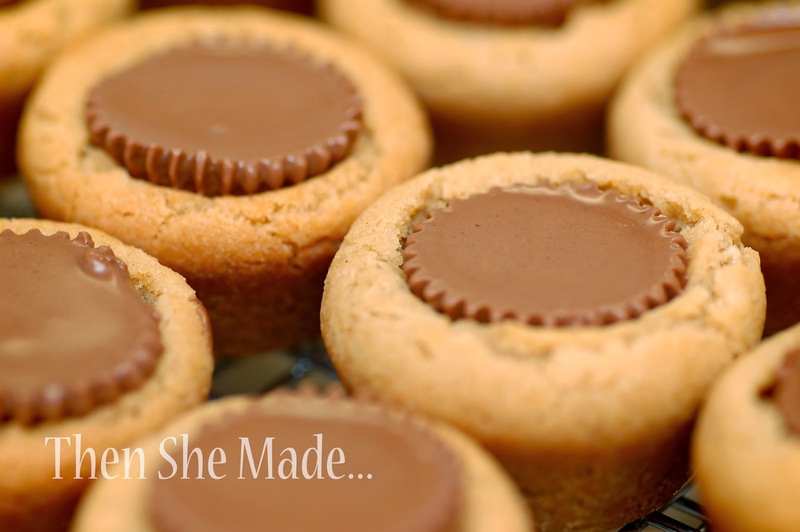 When cookies are done, press peanut butter cups in center and let cool. A great, loving, and thoughtful thing to do - thanks for sharing and maybe inspiring others to do the same!